Supported by the Canada Council and Opus Framing Ltd.
A catalogue was published by Presentation House Gallery in conjunction with the exhibition, with an essay by Richard Buchanan and Donald Irwin. 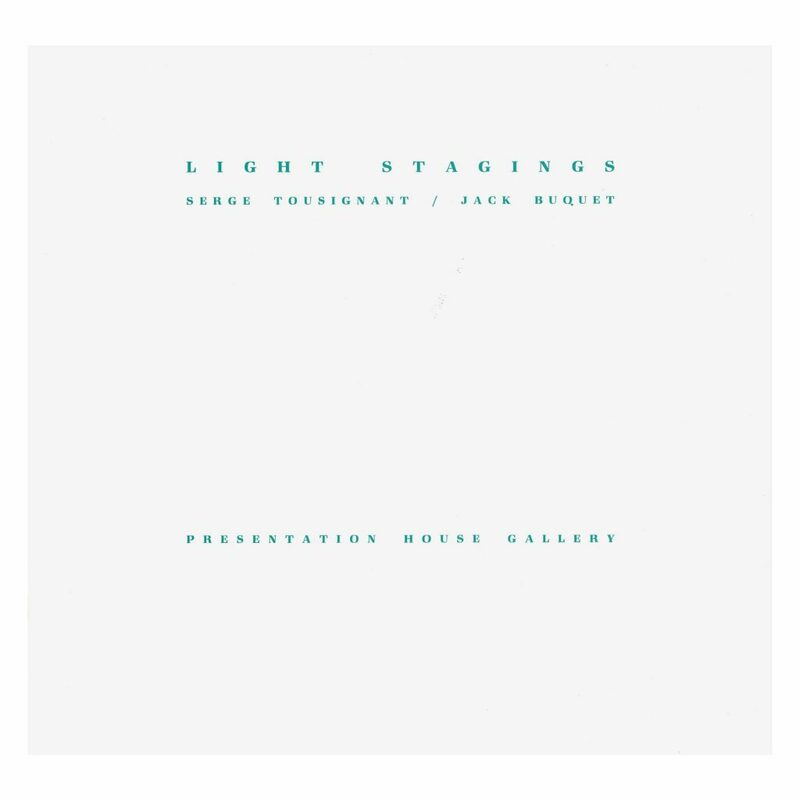 The 1987 exhibition catalogue from Light Stagings: Jack Buquet and Serge Tousignant that considered light and staging. The essay states, " To some extent, light and staging are implied in the very definition of art itself, since without light and a somewhat deliberate arrangement of forms in space, real or illusory, art would not exist.... "
Catalogue text by Richard Buchanan and Donald Irwin. Designer: David Clausen. Printer: Hemlock Printers.